(CNN) - A football coach. An athletic director. And young, eager and forward-looking students. They were among the 17 people killed by a gunman Wednesday at Marjory Stoneman Douglas High School in Parkland, Florida. Lori Alhadeff, Alyssa's mother, told HLN she dropped her daughter off at school Wednesday and said, "I love you." When the mother heard about the shooting, she hustled to school, but was too late. "I knew at that point she was gone. I felt it in my heart," she said. "Alyssa was a beautiful, smart, talented, successful, awesome, amazing soccer player. You'll be greatly missed, Alyssa. We love you so much. You'll always, always be in our hearts." "Alyssa Alhadeff was a loved and well respected member of our club and community," Parkland Travel Soccer said on Facebook. "Alyssa will be greatly missed." "On behalf of the entire Coleman community, we offer heartfelt condolences and prayers for comfort to Alyssa's family and friends. May Alyssa's memory forever be for a blessing," the camp said on Facebook. Kelsey Friend, one of Beigel's students, told CNN in an emotional interview that he was shot outside the classroom door and that he saved her life. "Mr. Beigel was my hero and he still will forever be my hero. I will never forget the actions that he took for me and for fellow students in the classroom," she said. "I am alive today because of him." Kelsey said the teacher was an amazing person and his memory would live on with her. "If I could see him right now ... I'd give him a huge teddy bear to say thank you. But unfortunately I can't do that," she said. Beigel, 35, was also a counselor at Camp Starlight in Pennsylvania, which called him a "friend and hero" on Facebook. Miguel Duque mourned the loss of his younger brother, Martin, and set up a Go Fund Me page to help pay for funeral expenses. "He was a very funny kid, outgoing, and sometimes really quiet. He was sweet and caring and loved by all his family. Most of all he was my baby brother," Miguel said on the page. "My family and I have no words to describe the event that's has happened on this date, all my prayers to the lost ones. My family and I will appreciate anything that we can get helped with. R.I.P Martin Duque." "That's Coach Feis. He wants to make sure everybody is safe before himself," he said. "(He) made sure everyone else's needs were met before his own. He was a hard worker. He worked after school, on the weekends, mowing lawns, just helping as many people as possible." Chad Lyons, a student and football player, said Feis was there for him when he was going through leukemia treatments. "He guided me through them. He would send me prayers. He would send me Bible scripts and just stuff to cheer up my day. Funny memes," the player said. "He was just an amazing person to be led on and taught by, and I'm thankful enough to even be in his presence, just going through high school." His widow, Debra, was telling CNN that he was "probably the best man that I ... " when she couldn't go on. She had just described Chris Hixon -- who was the school's athletic director -- as an awesome husband, father and American. "Every one of those students he thought of as his own kid," she said earlier. Hixon, 49 would give students rides or lunch money and, if they needed it, open up his home to them. "He just loved being around kids and giving back to the community," Debra Hixon said. "He loved being an American and serving his country and he instilled that in our kids," she said. Hixon was also the school's wrestling coach, something that was his passion. The killing shocked Luke's close-knit family. Grandparents Eddie and Janice Stroud in Simpsonville, South Carolina, learned about the news of the shooting from TV reports, they told CNN affiliate WYFF in Greenville. "The day went by and we didn't hear anything about Luke. We kept hoping they would find him wandering around in shock," Janice Stroud told the station. "By 7 o'clock, I said, 'I don't like this. This is not good,' " her husband said, according to WYFF. "Finally, (police) called us at 1 a.m. and said Luke was among the students that had been killed." Janice Stroud said, "He was a good kid. He ... never got in trouble. He was the last of my daughter's children who still lived at home." Cousin Grant Cox called Luke "an amazing individual. Always happy, always smiling. His smile was contagious, and so was his laugh. Another relative, Mary Beth Stroud-Gibbs, posted on Facebook that the family is "very close" and it is "devastated by this senseless shooting." "Our Luke was a precious child." Cara danced at the Drake School of Irish Dance in South Florida. "Cara was a beautiful soul and always had a smile on her face," the dance studio said in a statement. "We are heartbroken as we send our love and support to her family during this horrible time." Danny Vogel, a neighbor, posted condolences on Facebook. "It is with a heavy heart and much regret that I write these words. Our next-door neighbor's daughter was one of the lives taken (too) soon by a senseless act of violence at Stoneman Douglas High School. "RIP Cara, and fly with the angels. You will be greatly missed, and we will always love you and celebrate your beautiful life." Gina was a member of the winter guard on the school's marching band. The Winter Guard International mourned her death Thursday, saying, "Unfortunately, one of the victims in yesterday's St. Valentine's Day Massacre at Marjory Stoneman Douglas High School was a member of the school's winter guard. "No student should ever go to school afraid," the group said. One of her middle school color guard instructors told The Miami Herald that Gina "was the sweetest soul ever." "My heart is broken into pieces. I will forever remember you, my sweet angel," Manuel Miranda told the paper. Shawn Sherlock, Gina's aunt, posted a tribute on Facebook, describing her niece as a gifted artist. "I know somewhere in the heavens she's designing the latest and greatest trends and has her art book she always carried with her as well," she wrote. Alaina's family said she was vibrant and determined. She had volunteered after Hurricane Irma hit Florida in September. "Alaina loved to serve," the statement from her family said. She was also a part of the "Helping Hands" program of the Church of Jesus Christ of Latter-day Saints. "While we will not have the opportunity to watch her grow up and become the amazing woman we know she would become, we are keeping an eternal perspective," her family said. Condolences were posted on an online guestbook kept by Star of David Memorial Gardens Cemetery and Funeral Chapel. "Please accept my deepest condolences on the loss of your beautiful daughter, Meadow. May she rest in peace. 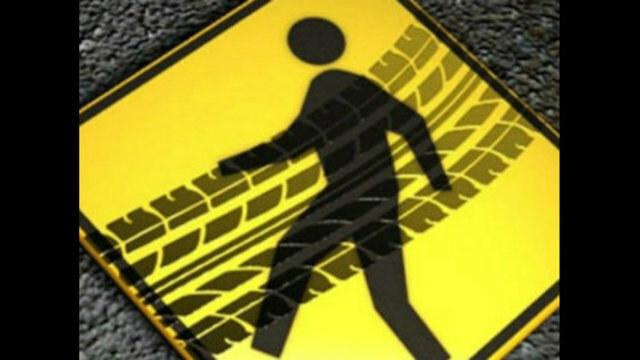 Your family is in my continued prayers," said Alisa Thomas of Youngstown, Ohio. Friend GII Lovito said on Facebook: "Please say a prayer for the family of an amazing girl I got to call my best friend growing up Meadow Pollack ... her life was taken way too soon and I have no words to describe how this feels. Rest In Peace my beautiful angel. "You are and forever will be loved." "My family lost an absolutely beautiful member today, due to a senseless school shooting," Curtis Page Jr. said in a Facebook post about Helena, who would have started college next year. "Helena was a smart, kind hearted, and thoughtful person. She was deeply loved and loved others even more so. Though she was some what reserved, she had a relentless motivation towards her academic studies, and her soft warm demeanor brought the best out in all who knew her. She was so brilliant and witty, and I'm still wrestling with the idea that she is actually gone." Page said he hopes others can be inspired by Helena's "life well lived, no matter how short." Fena Cooper, identifying herself as a cousin, said in a Facebook posting, "Valentine's Day will never look the same for my family. "Helena, we miss you dearly and are so incredibly sorry that your life was cut short. You didn't deserve this. We love you so much and will miss you greatly." Alex participated in the school marching band and orchestra, playing baritone in the former and trombone in the latter, the Sun-Sentinel reported. 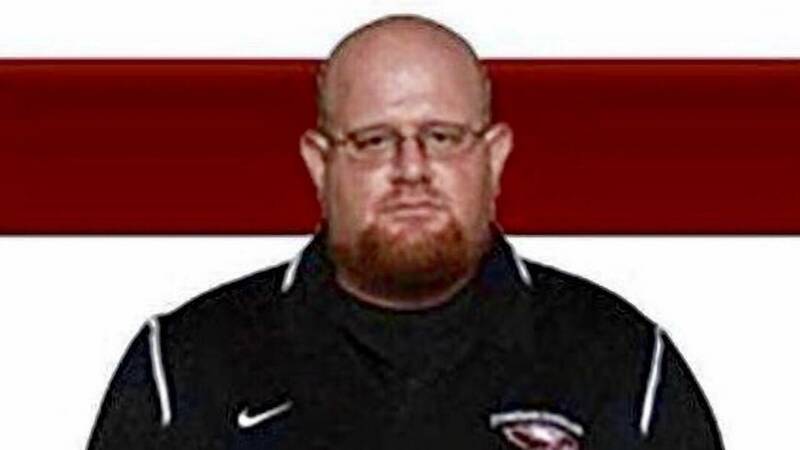 "I felt he really had a bright future on the trombone," Alexander Kaminsky, director of bands at the Parkland high school, told the paper. A Go Fund Me page was set up by Alex's family as a scholarship fund. "In an effort to continue his memory, this scholarship is being created to help other students experience the joys of music as well as fund increased security at schools. Please help keep Alex's spirit alive," the page said. "The money raised will be sent to the Stoneman Douglas Marching Eagles." Peter had been a member of the junior ROTC program, and his parents owned a restaurant in West Palm Beach, the Sun-Sentinel reported. Kelsey Friend, who shared a culinary class with Peter, said she "started screaming and crying" when she found out about her friend's death by looking at images on Google of those who had died. "I am wearing my culinary shirt right now, to remember him," she told Alisyn Camerota on CNN's "New Day" on Friday. Kelsey said Peter had been excited about the Chinese New Year, which fell on Friday. "Me and my family celebrated it for him, eating Chinese," she said. Kelsey said the two of them were close. "It's hard to not have him in the hallways anymore because me and him used to laugh with each other. He used to make me smile. And now he's gone." Kelsey and other friends said Peter was shot while holding a door open to let fellow classmates get to safety. Thousands of people have signed a White House petition asking for him to be buried with military honors. "His selfless and heroic actions have led to the survival of dozens in the area," the petition says. Jesse Pan, a real estate agent in Parkland, posted images of the boy on Facebook, including a couple of him wearing his ROTC uniform. "Rest in Peace Peter!!!" he said.